Please note we are now signed up with IFTTT platform as a public service provider. More information about the Triggers and Applets can be found here. 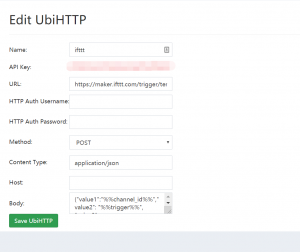 This example demonstrates how to integrate the IFTTT Webhooks with UbiBot platform. 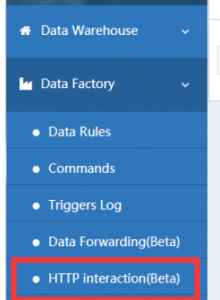 You will need to first create a UbiHTTP item on the HTTP interaction page (http://console.ubibot.io/#/ubiHttp), then configure the corresponding trigger rule under channel page. 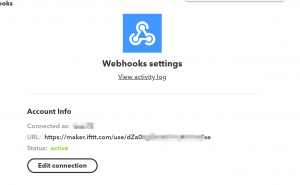 When the rule is triggered, it will call the IFTTT webhook URL to interact with other service actions listed on IFTTT. 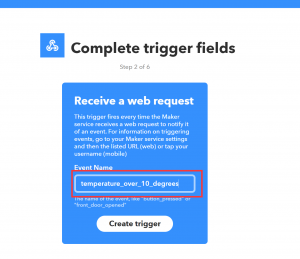 Steps 1: Create a new Applet on IFTTT platform (https://ifttt.com) by select Webhooks from the service list. Steps 2: Select “Receive a web request”. Enter the event name, please keep a note of this. The string value of this event name will be used later. Steps 3: Choose the desired action, in this example, we are choosing “Send me an email”. Copy the URL showing on the page and open it in the browser. 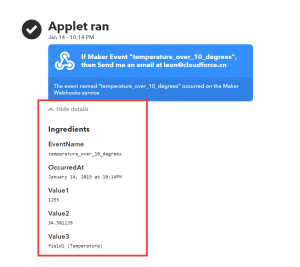 Substitute the EVENT_NAME of the trigger event URL showing on page with the string of the event name you created in previous steps. 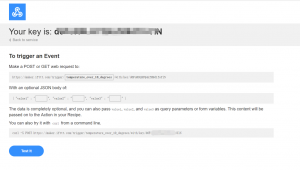 This trigger event URL will be used to setup the UbiHTTP.